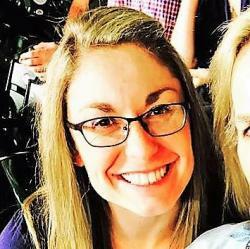 The Boston Marathon is fast approaching! 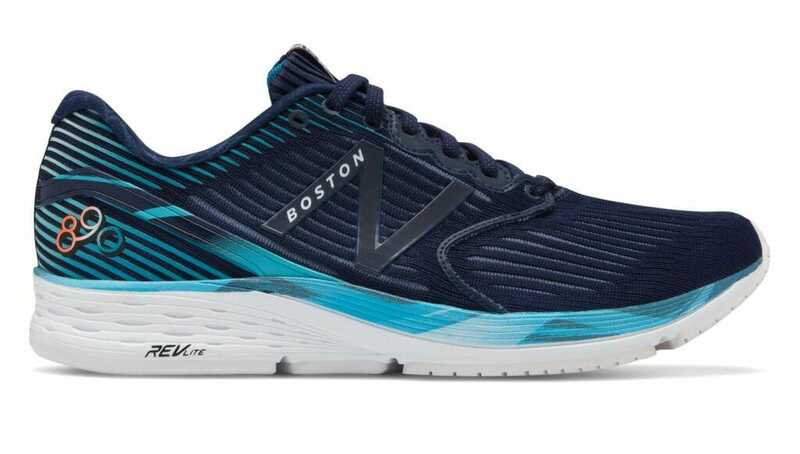 Read on for this year’s Boston-inspired running shoes. Adidas is the official sponsor of this year’s Boston Marathon. And, the new adiZero Boston 7 is an updated version of the popular adiZero Adios, which improvements focused on performance enhancement. The shoe contains adidas’ lightest engineered mesh for maximum breathability and features Boost cushioning technology to improve comfort and energy return. The adiZero Boston 7 emulates everything Boston. 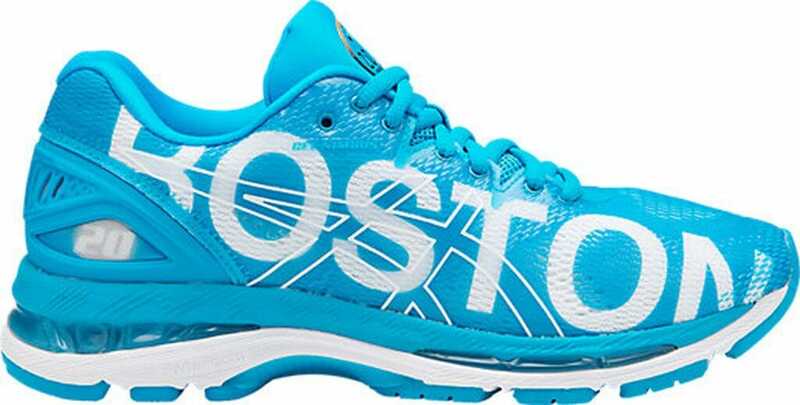 The bright blue and yellow colors of the Boston Athletic Association embellish the trainer, and its logo is featured on the shoe’s tongue. 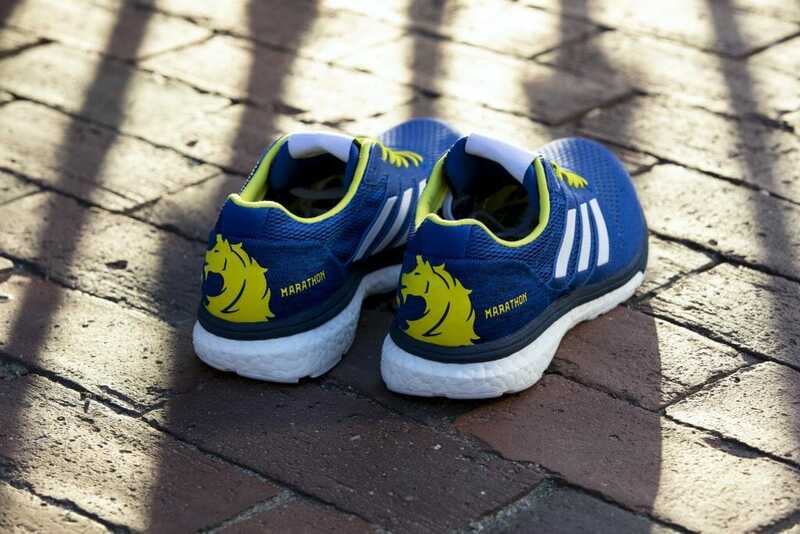 The Boston Marathon’s signature unicorn marking is displayed on its heel, and Boston landmarks are printed all over the removable sock liner. The shoe is available online at adidas.com. Click here to read more about the adiZero Boston 7. New Balance’s Boston Marathon special edition shoes both celebrate the Charles River and the running culture that has been built around the area. 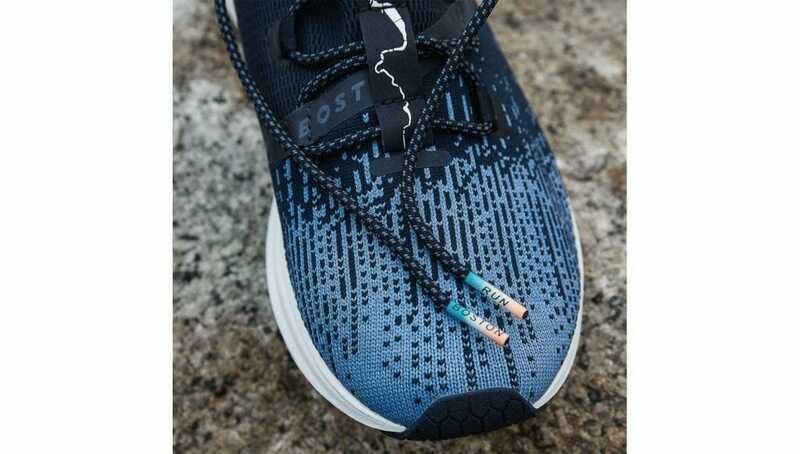 Each dark and light blue-colored shoes feature a silhouette of the river on the tongues, in addition to a Strava heat map of the popular running routes around the river. The 890 model, which was reintroduced by popular demand after a hiatus, features additional cushioning to boost protection during longer runs. Its midsole contains REVLite, an innovative foam compound, that provides a runner with responsive cushioning while staying lighter in weight – perfect for faster and longer training runs. The Fresh Foam Lazr, a shoe that’s designed for more casual and shorter recovery runs, features gold duck prints in homage to the river and the Boston skyline. Both shoes will be available on March 29th online at newbalance.com. The Saucony X Dunkin’ Kinvara 9 is the result of a collaboration between two popular Boston-based brands: Saucony and Dunkin’ Donuts. 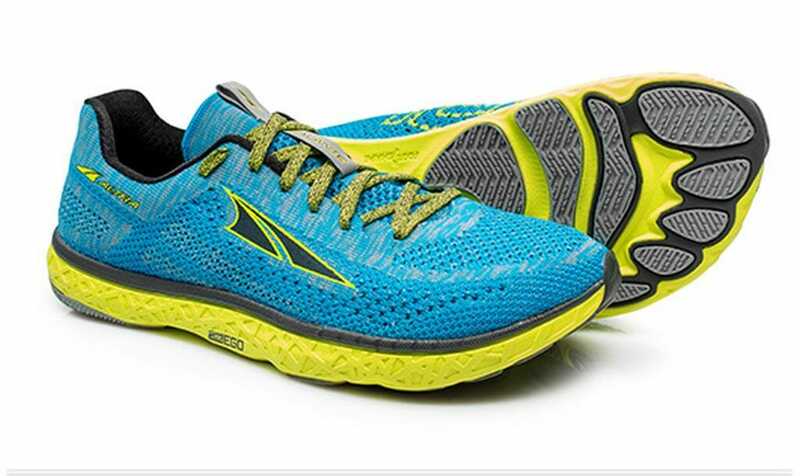 The award-winning Kinvara 9 is a lightweight shoe engineered with Saucony’s iconic EVERUN topsole, which provides a runner with comfortable cushioning and enhanced energy return throughout the entire run. 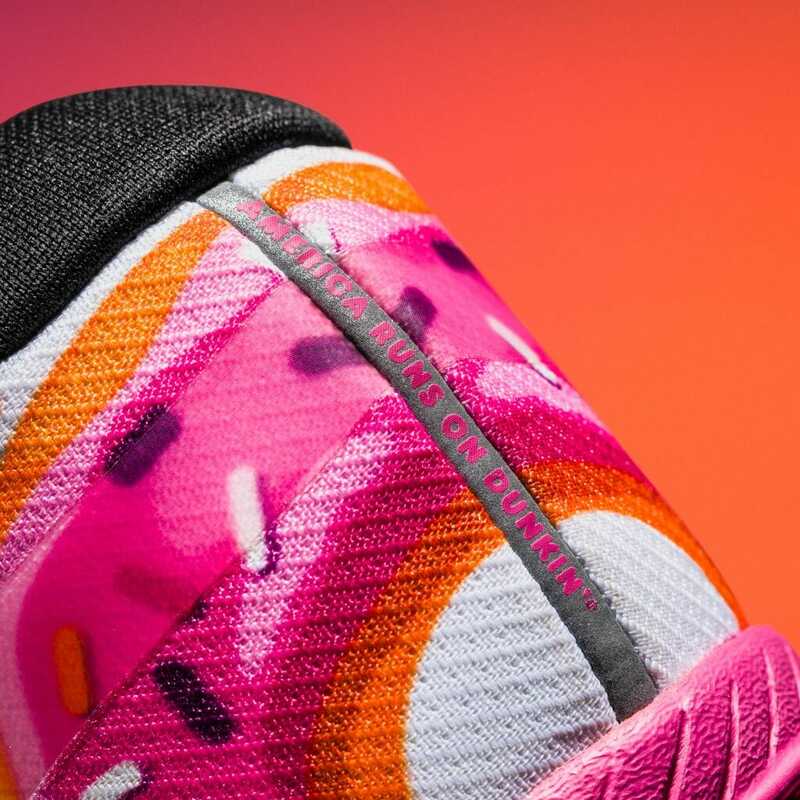 The fun and colorful shoe features a white donut box, the classic symbol of Dunkin’ Donuts, and an eye-catching pink strawberry-frosted donut with orange, magenta and chocolate sprinkles on the heel. The Saucony river logo on each side of the shoe is decorated with a coffee bean print. The collaboration and unique shoe design is intended to honor the relationship between runners, coffee and donuts, according to Saucony. The shoe became available for pre-order on March 27rd online at saucony.com, with orders shipping on April 3rd. Click here to read more about the Saucony X Dunkin’ Kinvara 9. Inspired by the blue lobster, an extremely rare and considered to be lucky catch, the Brooks Boston Launch 5 features BioMoGo DNA cushioning on the midsole responds to one’s stride and rebounding rubber for a resilient effect underfoot. A runner will experience a fast, springy and energetic run with this lightweight neutral trainer. Its air mesh upper is so light and breezy, it’s like its not even there. The rich blue-colored shoe has anchors and coiled boating lines printed all over it. And, the midsole’s print is designed to portray a tidal chart, while the shoe’s laces are inspired by fishing net. The Boston Launch 5 is available online at brooksrunning.com. The Nimbus 20 model, which has been in action for 20 years, now features an eye-catching bright blue Boston special edition. The word “Boston” in thick white letters embellishes the shoe on each of its outer sides. The neutral trainer contains Flytefoam cushioning, which provides resiliency and comfort with each stride, is suitable for runners and walkers of any level. The Nimbus 20 Boston is available online at asics.com. Newton’s Revere’s Ride Fate 3 is inspired by Paul Revere’s Midnight Ride – an event iconic to Boston. 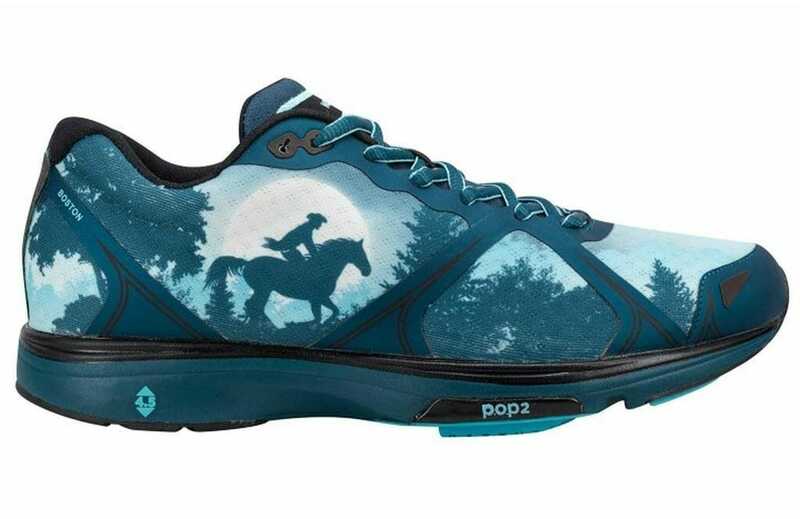 The blue shoe is embellished by a graphic of Revere riding on its sides and reflective components that allow a runner to be easily seen during his or her nighttime runs. “Newtonium” cushioning provides both responsiveness and comfort as it molds to the runner’s foot shape because of a breathable upper and metatarsal stretch panels. In addition, the shoe’s beveled lugs offer an introduction to Newton’s Action Reaction technology, which provides the runner with a reactive kick and plenty of cushioning. The Revere’s Ride Fate 3 is available online at www.newtonrunning.com. Altra’s new Boston Escalante Racer is the updated version of the Escalante, which provides runners with a faster and higher performance. The bright blue and yellow shoe has an engineered knit upper, which makes it firmer and increases its breathability. 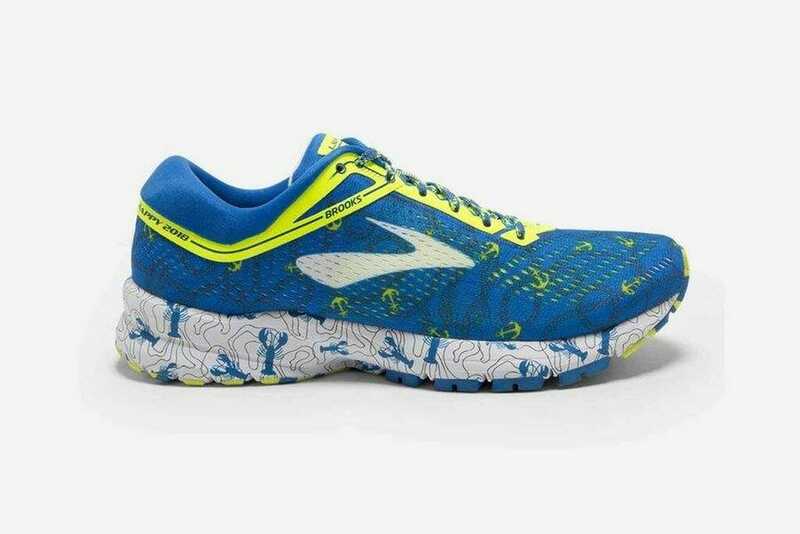 The shoe features the new Altra EGO midsole, which allows for better energy return because of its firmer and less-cushioned design, and metatarsal mapping for faster training and racing. The sides of the shoe are also adorned by an “’18” to symbolize this year’s Boston Marathon. The Boston Escalante Racer is available online at www.altrarunning.com. Saucony’s neutral Boston Freedom ISO celebrates Boston’s iconic Freedom Trail with an image of the red and gray brick trail on the bottom of its sole. The Freedom Trail is a 2.5 mile long path that winds through downtown Boston, passing 16 American Revolution landmarks on its way. “Boston” is printed on the top of its gold tongue, and the shoe’s color is a dark blue. The shoe contains EVERUN Continuous Cushioning technology, which provides a runner with higher responsiveness and energy return, and the brand’s first full-length EVERUN midsole. It’s stretch mesh upper allows for a light fit, and it features the dynamic ISOFIT system, which molds to the shape of one’s foot and adapts to his or her unique motion. The Boston Freedom ISO can be purchased online at www.saucony.com.